Arrindell’s research is a unique groundbreaking work. Paperback, poetry, literature, 224 pp. 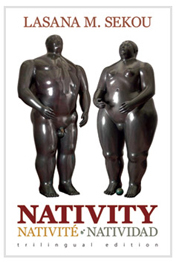 Nativity cover art: Adán, sculpture/bronze and Eva, sculpture/bronze by Fernando Botero. © Fernando Botero. Courtesy: Museo de Antioquia, Colombia. In nine haunting segments … a bold narrative, … long overdue … centralizes the region’s indigenous, African, Asian connections. A triumph of Caribbean aesthetics. An exuberant, epic rush … a lusty, encyclopedic yawp. 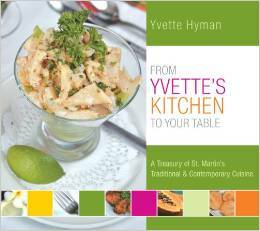 Delicious, delectable, and delightful dishes. 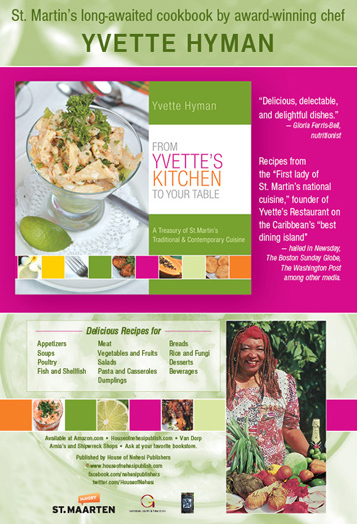 The recipes of award-winning chef Yvette Hyman, “first lady of St. Martin’s national cuisine” and founder of Yvette’s Restaurant, a gastronomic institution on the Caribbean’s “best dining island” — hailed in the Newsday, The Boston Sunday Globe, The Washington Post among other media. 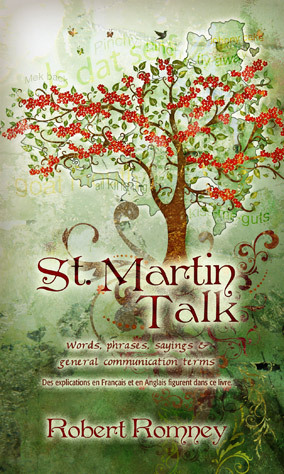 With information ranging from the witty to the wise, St. Martin Talk is a handbook of words, phrases, sayings and other communication terms — including those from the St. Martin of old that are still much a part of the everyday speech of the island’s people. This quick reference will happily serve as a home, school, office and travel reference and companion. 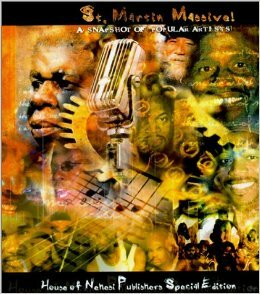 Paperback, political philosophy, literature ethnic studies, Caribbean history, 96 pp. 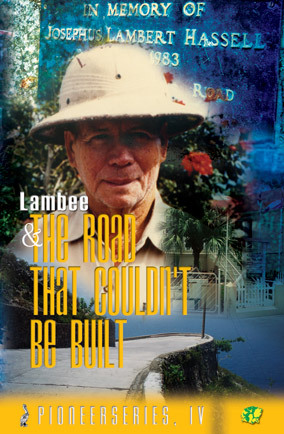 Lamming’s preoccupation with freedom is today very apropos because one feature of our contemporary world is the resurgence of a current of thought and action, which heralds the virtues of empire. Impressive … sensuous … striking. 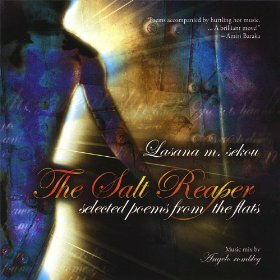 Lasana Sekou has moved his impressive book of poetry The Salt Reaper into the field of WordMusic … poems accompanied by hurtling hot music … A brilliant move! Paperback, comparative literature, culture studies, criticism, 192 pp. 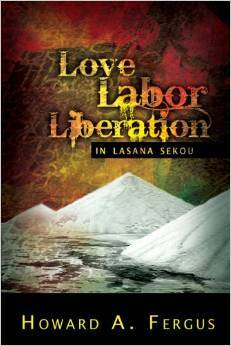 The writings of Lasana M. Sekou have been compared to the works of a range of poets, from Aimé Césaire to Oswald Mtshali, from Kamau Brathwaite to Dylan Thomas, from E.E. Cummings to Linton Kwesi Johnson, but Fergus insists that “the voice that reaches us is sui generis, unique and Sekouesque.” Fergus throws wide ajar the doors to enter into Sekou’s poetics with authority and anticipation. 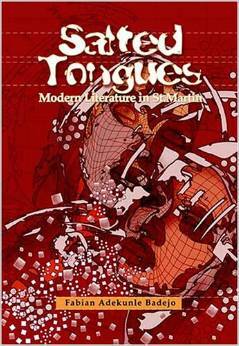 In this book of three essays, wonderfully entitled Salted Tongues, Fabian Adekunle Badejo has contributed significantly to filling a gap in Caribbean literature and widen the scope about the authors of modern writing and the role of language, publishing and literary criticism in St. Martin. 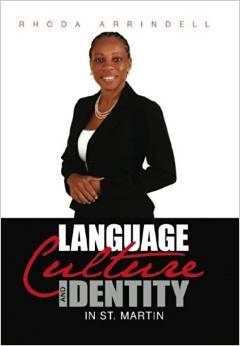 Paperback, culture/entertainment,150 pp.,7.5in. x 8.5in. St.Martin Massive! 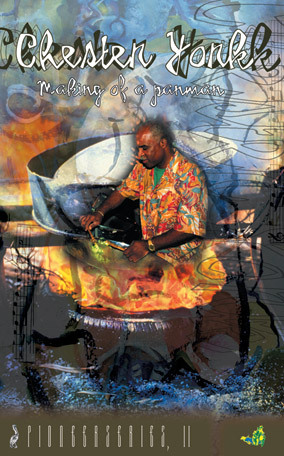 offers an inspiring look at the men and women whose hard work have had a profound impact on the St.Martin nation, and especially its dynamic cultural development and entertainment life. 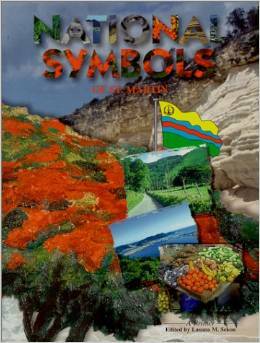 Junior scholastic reading of non-traditional pioneers (music) of the Caribbean islands of St.Martin, Saba and St. Eustatius.